When I was a little girl, I sure did pretend that I was a princess. And then, while doing a professional search on my family’s last name, I found out that way, way back in time, the family name came from a line of Barons. How cool is that?!!! So naturally, the princess thing lasted a bit longer than normal. How many people can say that they come from a noble line? 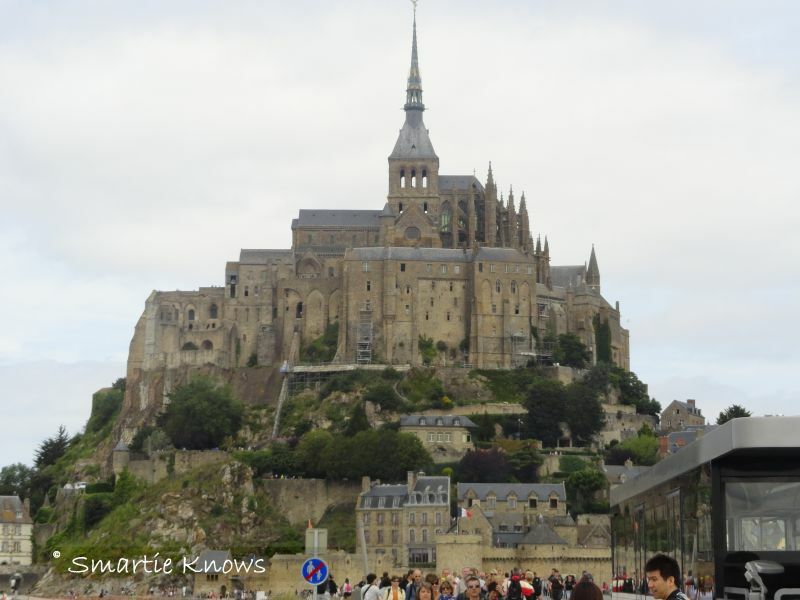 While in Paris we decided to take a day trip to Normandy to visit Mont Saint Michel which at one point hosted a Benedictine abbey. To me, it looks like a gothic castle. It’s a beautiful castle, with big walls surrounding it, narrow walkways and lots of mysteries. My princess dream had awoken once again, and my imagination was running wild. I was pulled into this place, into the mystery of it all. 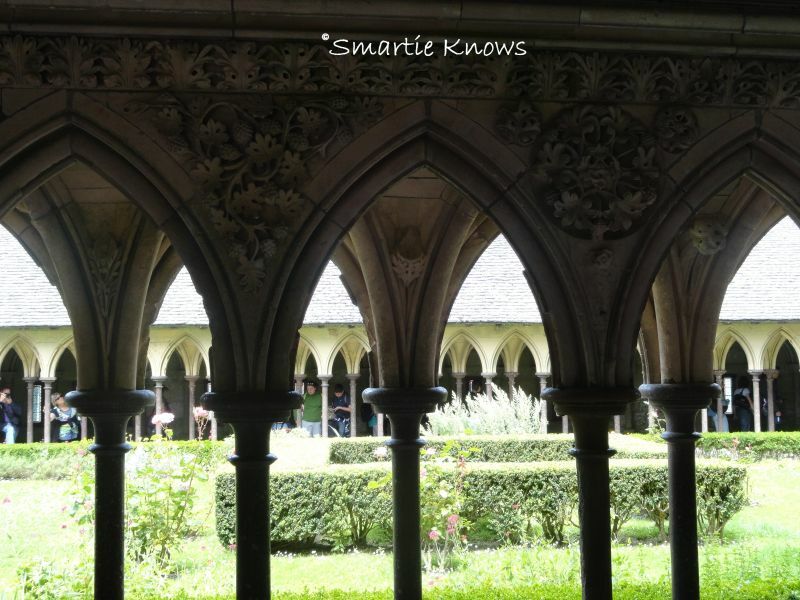 Not only was it an abbey, but the Order of Saint Michel was also located here. If you don’t know what I’m talking about, I’m talking about Knights. You know, in shinning armour!!! 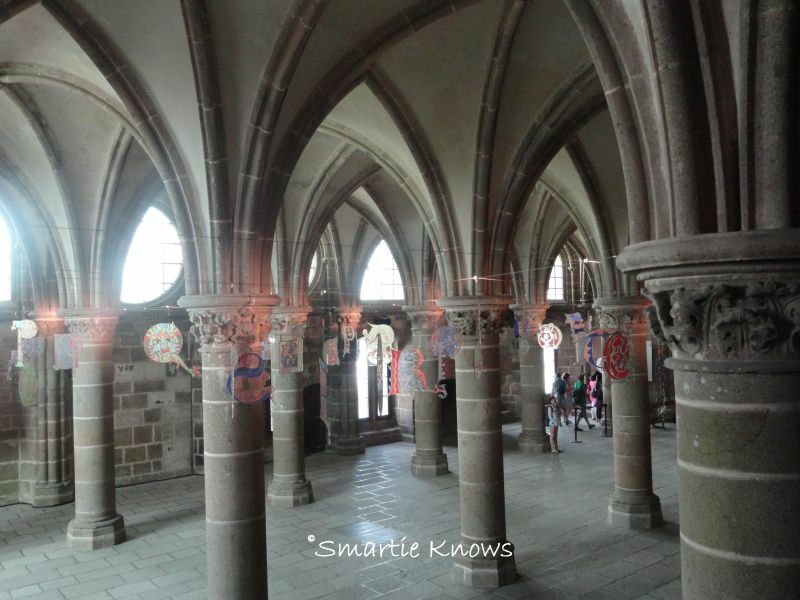 They were the highest Order in France at one point, and all the knights met on a yearly basis here. You need knights around if there is going to be a princess, no? Imagine them sitting in the Knights Hall. Those are their crests hanging in from the ceiling. To add to the energy of my visit, I found this place mysterous as well. There were many locked doors, and so I coulnd’t help myself but to begin peeking into key holes. To my amazement I found blocked stair ways, and hall ways. Where did they go? I wanted to know. I tried going down one flight of stairs, and made it to the bottom. It was really dark, and then I heard an eerie noise so I chickened out and ran back up the stairs as fast as I could.